Cellchem™ Sulfur Burner for Pulp Mill – NORAM Engineering and Constructors Ltd.
A pulp mill in Eastern Canada has fired up the latest design in the family of Cellchem™ Spiral Flame Sulfur Burners owned and marketed by NORAM. This particular application called for a Cellchem™ burner designed to produce up to 18.4% SO2 gas from the combustion of between 3 and 12 MTPD of liquid sulfur with atmospheric air. 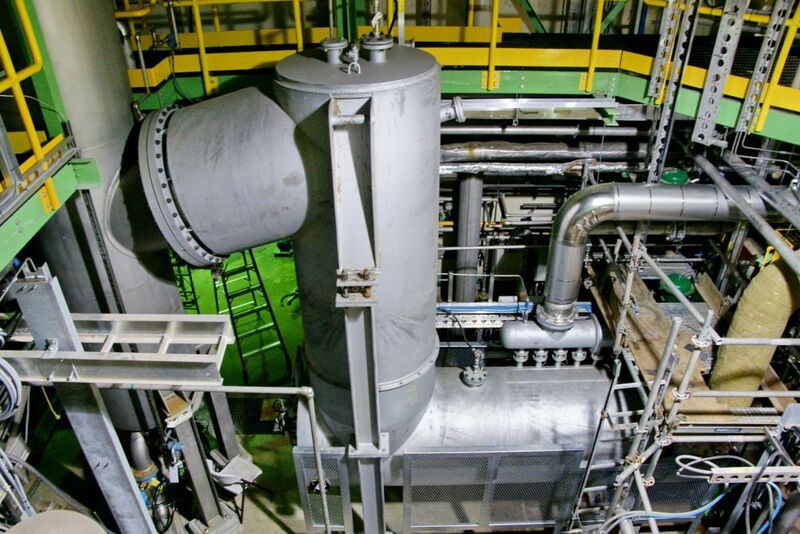 The engineering and equipment package, including the Cellchem™ burner, alloy quench tower, heat exchanger and plant ancillaries, was supplied within a very tight overall project schedule in-line with the planned mill shutdown, and successfully commissioned in October 2018. The Cellchem™ range of sulfur burners has provenance in over 180 applications, and is offered in two configurations. The Cyclone Flame is typically used for small-scale installations requiring the combustion of between 0.5 and 16 MTPD sulfur, while the Spiral Flame design is used for sulfur combustion rates between 5 and 400 MTPD.